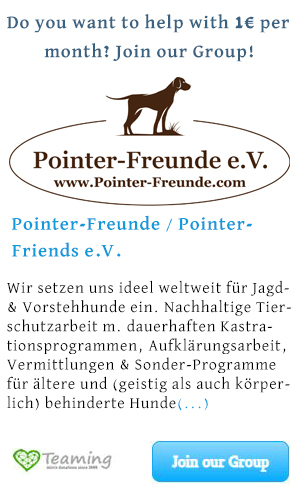 What we do - Pointer-Freunde e.V. We have critically asked ourselves all these questions over and over and answered them repeatedly. We knew that it is quite important, to gather resources and personnel to be able to help more – of which we had always been confident. Unfortunately, there are far too many individuals who have the heart in the right place and very, very fond of animals, but only work alone and do not want to cooperate with others. The “competition” in animal welfare is alarmingly high. Just by and by many black sheep in this area unfortunately gets the animal welfare repeatedly discredited. And the victims are always the animals! We have back reminds us of the original meaning / the original meaning of the word: PROTECT ANIMALS! That is what we want to do. 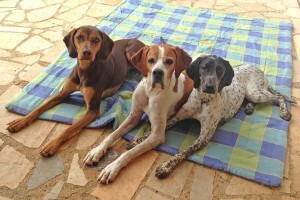 Just that we have specialized on the breed of the pointer. We want POINTER TO PROTECT! 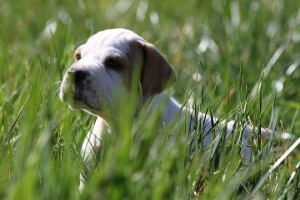 We have made the conscious decision, to use for the breed of pointers for the group. 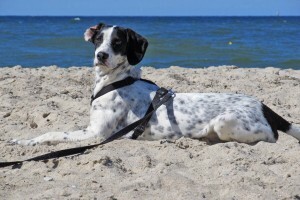 These include for us purebred pointers such as the English Pointer, German shorthaired pointer, German wirehaired pointer, German Longhaired pointer as well as all Pointer mixes, in which either the mother or father was a pointer. But you will ask yourself, how does one protect Pointer and Pointer mixes? We also asked ourselves this question. The goal is clear, but the path needs to be defined. After all the experiences and adventures of recent years, we see in the publicizing of the race and image- “extension” and “improvement” our greatest task. The breed is very unpopular, and too one-sided in its “exploitation”. 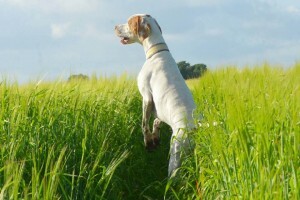 We would like to show all sides of Pointers – want to represent its diversity and bring them closer to people who had previously not heard about them. For this purpose, image campaigns, public and media relations, traditional marketing and social media marketing, are important but also and in particular Recommendation Marketing. And in addition to all the “theoretical” we want to make “Pointers experienced”. Many of us live together with pointers. One can become acquainted with this, experience and to gain an impression for themselves about pointers. We can recount a lot – please discover the pointer itself! Another large part of our job is the concern, the inclusion / rescue, the care and the mediation of pointers in need. And worldwide. We cooperate with a wide variety of organizations around the world that take up every now and then or even regularly (depending on the country and multitude of the pointers in the country) Pointer in distress in to themselves and under their protection. Only rarely, is the knowledge and awareness of pointers available – often but is not sufficient love for animals, to any breed of dog can also convey accordingly. Through our specialization we are precisely here: Basically, we provide all organizations with assistance in terms of pointers in need. We arrange for no other organization. If we have the opportunity and we decide to help a pointer in need, we take it as a rule of the other organization and put it under our protection. This is not meant to distrust other organizations, but we want to and can only vouch for our “quality” and principles, which we represent, if we are also solely responsible. Of course, we have the end target in sight, to place the pointer in need sooner or later into its own loving home so that it can ideally spend a beautiful life there. But the way there includes not only a very tightly monitored and thorough assistance by our veterinarians (contract veterinarians in the country and abroad), but we also give the pointers much love, care and time. And not to forget: the socialization and up-bringing. Especially the puppies, but also young or older dogs, are taken care of by our colleague Britta before and after the adoption; so that, the puppies have a good start in their lives and in their new family and all our rescued pointers learn and show a healthy social behavior. In our work we make NO difference between in the country and abroad. Pointers are pointers – no matter whether they are on “our side of the border” or across it. But, we want to help more extensively – and many more animals than those which we have found a good place for- because even our resources and time is limited. That’s the reason why we organize castrations with local animal-rights activists (especially abroad) where we arrive with our team and together with our local contract veterinarian and his team castrate strays and dogs from shelters, to curb further breeding and to curb the constant “puppy explosions”. We work together with animal welfare parties abroad and try also here to initiate local educational work and hope that in future we will be able also to carry it out ourselves.